Martin Miner was born at Hexebarger, near Kingwood, Somerset County, PA, Sept. 28, 1840, son of John and Sarah (Ansell) Minerd. He was a farmer and a Civil War veteran, and survived several major battles. He also was an officer of our family's first reunion in Western Pennsylvania in 1913. Martin grew up in Hexebarger though he lived most of his adult life in Normalville in nearby Fayette County, PA. He learned how to read and write, educated in local one-room schools. As a young man, Martin stood five feet, six inches tall, with blue eyes and light hair. Martin and the regiment saw action at the battles of Fredericksburg, Gettysburg and Petersburg. At Gettysburg, his regiment fought on McPherson's Ridge along what today is Reynolds Avenue, battling shoulder to shoulder with the First Pennsylvania Artillery, Battery B, as part of the 3rd Division, I Corps. The division was commanded by Maj. Gen. Abner Doubleday, who later gained fame as the founder of organized baseball. They repulsed the invading enemy until reinforcements could arrive. He watched with horror at Gettysburg as his brother in law, Jack Rose, was shot in the right forearm and was sent away for emergency treatment, later losing the limb to amputation. ... I contracted typhoid fever, was sent to a Hospital at Harrisburgh Pa. and while in the Hosptal I had an attack of Rheumatism or at least that is what the Doctor in attendiance said. gave me Linament to Rub on it. Releved me some.... Prior to the attack ... I never knew what Rheumatism was. Within a few days, on July 22, he was sent to the U.S. Army General Hospital in Harrisburg, on East Walnut Street. He returned to the hospital on Sept. 26, and again was admitted for rheumatism, by order of the medical director. The army granted him a furlough on Sept. 30, and he returned to the hospital after three weeks of rest, on Oct. 21. After being released from the hospital, he returned to his regiment on Nov. 25, 1863. Seen here is an artist's depiction of the "Battle of the Crater" at Petersburg. Later, he caught the measles, he said, "while in the line of duty on the heights of Alexandria near Washington City, D.C." He was sent to Camp Convalescent in Alexandria, VA, a hospital system notorious for its cheap construction and lack of sanitation. He was transferred to the camp's barracks on Christmas Eve 1863. The following month, in January 1864, he visited his sick cousin Ephraim Minerd who also was at Camp Convalescent, recovering from injuries suffered in battle at Fredericksburg. Afterward, Ephraim wrote in his diary, "I was soury that he had to go." In the spring of 1864, on March 31, he was treated in the regimental hospital of the 142nd Pennsylvania Infantry. He returned to duty on April 14, 1864, and remained with the unit until the following winter. Suffering from the measles, in May 1865, after the end of the war, he was admitted to the hospital of the 3rd Division, 5th Army Corps of the Army of the Potomac. He stayed for nine days, and was released. Martin was discharged on May 29, 1865, and returned home to Kingwood. On New Year's Day 1867, Martin married Amanda Williams (1844-1930), by the hand of Rev. Benjamin Walker of Kingwood. He was age 23 at the time, and he was 27. 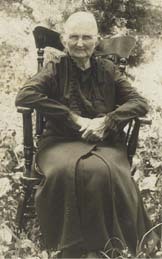 Amanda was the daughter of Daniel and Elizabeth (Leichliter) Williams, and her siblings included Levi C. Williams, Thomas Williams, George Williams, Mrs. O.F.M. Nicolay, Mrs. H.G. Conn and Mary A. Liston. Martin and Amanda were the parents of 11 children -- among them 10 are known: Sarah Elizabeth Miner, Warren W. Miner, George B. Miner, John Walter Miner, William H. Miner, Levi "Homer" Miner, Charles A. Miner, Agnes Miller, Edward Campbell Miner and Nettie Brooks. The identity of the 11th of their children is unknown. In the fall of the year they were married, the newlyweds moved to a farm near Martin's father just north of Normalville, Fayette County, PA, where they spent the rest of their lives. Martin purchased the 48-acre farm outright from the heirs of William Kern in 1873. The spelling of the family name alternated over the years between Minerd, Minard and Miner. While the spelling eventually evolved to "Miner," in a legal advertisement printed in the Somerset Herald in March 1876, in a matter involving the Williams family's desire to divide a piece of real estate, the name was spelled "Minard." The Miners built a farmhouse in the fall of 1886, seen in a sketch seen here. Less than two years later, the July 12, 1888 Connellsville Courier reported that the "residence was struck by lightning Friday, and badly damaged. None of the family were injured." Martin painted the house in May 1904, with the Courier opining that it "will look dandy when finished." Sadly, son Levi Homer and daughter Sarah Elizabeth both died in infancy. Homer passed away as a result of diphtheria in January 1881, and Sarah was a victim of "brain-fever" in November 1883. I remember when a child, after our chores were done, how our family gathered around the open fireplace in the sitting room to study our lessons and talk about the activities of the day. My mother would spend part of the evening spinning wool on a large old fashion wheel. I remember how she would turn the large wheel by hand and hold the wool with the other hand to guide it on the spindle which twisted it into yarn. When the spindle was full it was run off on a reel that made the yarn into skeins. We kept a few sheep on our farm, and in the spring my father would shear them with a pair of old fashioned sheep shears. He would start shearing beginning at the neck and front legs and work to the back to get the fleece in one piece. The wool would be washed and when dry would be taken to a carding machine to prepare it for spinning, by combing out the tangles with wire combs used for that purpose. It was made into rolls about 1 inch in diameter and approximately a yard long. It was ready to spin. When the wool was made into yearn, we children would wind it into balls by placing two chair backs close enough to put the skein over them. We would walk around the chairs as we would wind the yarn into balls. After that was done my mother would knit socks, stockings and mittems. One pair usually lasted us all winter if we took care of them. We would wash them in the evening and have clean ones for the next day to wear to school which was a mile, away, [the] Poplar Run School. All the joints of the body are affected with rheumatism, especially is it severe in the hands; cannot close fingers n either hand on palms and joints are enlarged. Pain and tenderness across lumber region and down both sciatic nerves, stooping is done with difficulty, muscles around shoulder-joints are contracted ... [and] water passing from the eyes all the time. Martin was active in the Normalville community, serving as vice commander of the William T. Campbell Post 375, G.A.R. ; delegate in the Republican party; and school board officer (circa mid-1890s). In late November 1896, along with Josiah S. Murray, Frederick Miller, W.H. Showman, David Nickelson and Andrew Johnston, he is known to have represented the G.A.R. at the funeral of his former comrade David Bigam of Normalville. On June 27-28, 1913, he traveled to Gettysburg for the 47th Annual Encampment reunion, and held the position of assistant inspector for District 43. In the field behind the Miners' home was a small private cemetery, where they buried an infant child. While Martin and Amanda are buried elsewhere, their cemetery was once named "Miner Cemetery," and the list of burials is available for viewing on the web. Also known to rest there, in an unmarked grave, is an infant child of their niece Sarah Ellen (Enos) Hart (1893). The cemetery is among the stand of pine trees, seen here. Many years later, in May 1938, the Courier announced that there would be a cleanup day at the cemetery -- "All persons are asked to bring tools and be prepared to work." Despite having moved from Kingwood to Normalville, the Miners kept in contact with Amanda's kin in their old home village. A short blurb printed in the Oct. 11, 1895 edition of the Connellsville Courier reports that "George Williams of Kingwood visited his brother-in-law, Martin Meiner [sic], on Saturday." In October 1905, Martin (age 65) and Amanda spent an enjoyable weekend with relatives at Kingwood. While there, he visited his birthplace at Hexebarger and after returning home told a Connellsville Daily Courier reporter that the "old ear marks of boyhood days are about all obliterated." The Miners probably had been the guests of Ephraim and Rosetta (Harbaugh) Miner, his first cousin who lived in Hexie. Martin and Ephraim had served in the same Civil War regiment and were more like brothers than cousins. Amanda's Williams family also resided in Kingwood. In 1913 and 1914, when the first two Minerd-Miner Reunions were held at Ohio Pyle, Fayette County, Martin served as vice president of the new organization. In May 1915, Martin was named in the Daily Courier as one of a few surviving Civil War veterans in Normalville. The others listed were A.J. Johnson, William J. Brown, John K. Grimm and W.H. Showman. On Memorial Day that year, Martin's cousin Rev. David E. Minerd spoke at a special service at the United Brethren Church of Normalville. ...joined the veterans from this section when they departed in a special car on Monday. Throughout the trip he appeared in the best of spirits, and companions say he apparently showed no ill effects of the long hike up Pennsylvania avenue. On the return trip the party was delayed several hours because of a freight wreck near Williams, and he was a day late arriving home. It is believed reaction from the excitement of the reunion and the journey home resulted fatally. Within an hour after arriving home, "supper had just been finished and the veteran had pushed back his chair and was relating events of the grand encampment when he suddenly collapsed and within a few minutes was dead from apoplexy." Martin was buried at Normalville Cemetery. Among those who attended the funeral were his nephews John "Wesley" Rose and Levi Rose of near Ursina, Somerset County, as noted in the gossip columns of the Meyersdale Republican. Amanda lived another 15 years. On Aug. 9, 1924, she and her brother Levi Calvin "L.C." 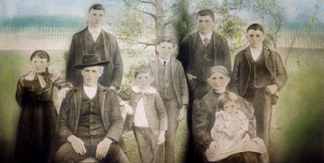 Williams are thought to have attended the Minerd-Miner family reunion at Confluence. An article in the Republican reported: "A very successful and pleasant reunion of the Minard family was held in what is known locally as Lincoln's grove, near the Western Maryland Railroad Station, August 9th. Eighty-two persons were present, most of them being members of the Minar [sic] family and their connections. The family is a numerous one in Western Pennsylvania, especially in Fayette, Somerset, Westmoreland and Huntingdon Counties. The gathering on Saturday was their twelfth annual reunion." She passed away on March 15, 1930, at the age of 85. In an obituary, the Courier said she "had been ill for several months" and died "from the infirmities of age." The obituary added that she was "one of the oldest and best known residents of Springfield township." She was laid to rest beside her husband. The field of public education remained important for many generations of this family. Son Edward was a teacher and a principal of the Connellsville area elementary schools for 43 years. Daughters Agnes Miller and Nettie Brooks both taught school in the area, Agnes for 28 years and Nettie for 45 years. A large number of grandchildren and great-grandchildren also have worked in this field. Son John was an entrepreneur who ran his own general store for many years in Normalville. He was active in the region's politics and economic development, and once served as Clerk of Springfield township.